Step by step, from our initial meeting up to the delivery of your project. The first step is to gather information. We start by asking the right questions (purpose, goals, target audience, etc) in order to help us understand your business and needs. Even, if some of these questions may seem a little uncomfortable, this is the first step of a successful project. Once we have all the information we need, we will create the information architecture called sitemap so we can all get on the same page about what it is we are trying to communicate and the best way to structure the information. Also, in this phase we set the timeline and milestones for your entire website development project. Here is an example of a sitemap. Now instead of trying to tell you what we intend to build and hoping you understand our jargon, at this point we will build an interactive prototype in the browser to show you how our solution will work. With no attention to design at this stage, it is not pretty, but it gets us close real quick. This phase is where we determine the look and feel of the website. Good communication is crucial to ensure that the final website will match your needs. We work hard to bring your interactive prototype to life to match your brand identity. Once all design revisions are finished, the delivery phase begins. Here is the same website fully designed. Finally, we go underground for a couple of weeks and make sure everything is plugged in and tested before deploying your shiny new website to our hosting server so you can show it off to the whole world. Once your website is accessible on the Internet, we will take care of it. As it generates leads, customers and revenue it is fundamental that your audience can access it 24/7 without interruption. We will perform an unlimited number of small tasks on your website throughout the month to make sure everything is working perfectly. We offer customized care plans based on your specific needs. To be a success or to stay at the top of the game, a website needs to evolve. We will learn from your users using real data from heatmaps, user recordings, analytics and A/B tests. 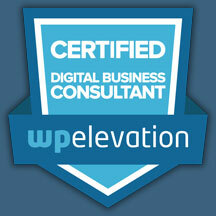 We will provide you with solutions to improve your website and keep you on the road to success. Let's get in touch and see if we are a good fit.